Numerous commentaries in the media, both on television and in print, would have us believe that gold is a bad investment. Headlines warning investors to stay away from the yellow metal are commonplace. Examples such as “Five reasons not to own gold,” “Gold is the worst investment in history,” “Gold as an investment – think again,” “Gold is a bad hedge,” “Gold is a pointless rock” and “Why gold is a bad investment” can be found with a simple Google search on gold and investment. 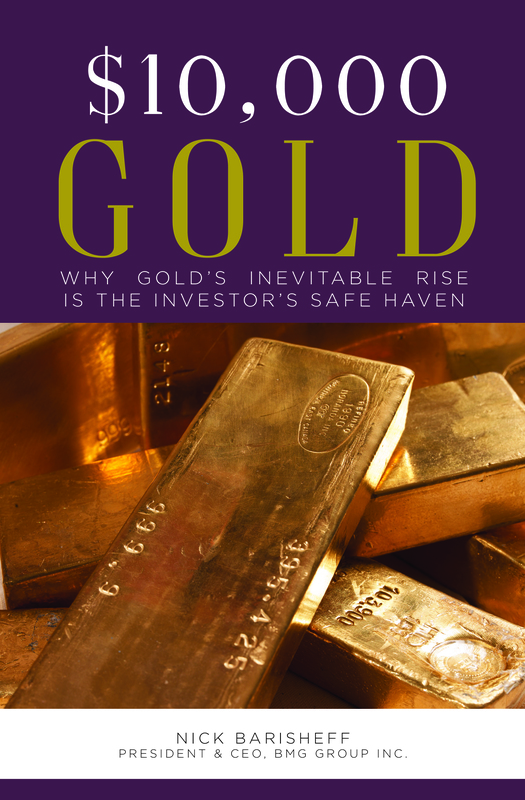 These articles always focus on the same themes: gold is an inefficient investment vehicle; gold is too risky; gold is too volatile; gold is a barbarous relic; gold doesn’t pay dividends or interest; gold is not a good inflation hedge; gold actually incurs costs to own. The naysayers believe that gold’s recent price stagnation is due to low returns and a stronger US economy. They think that gold is an outdated investment vehicle, that any positive price moves are merely anomalies in a long-term downtrend. These arguments miss the point entirely, because they treat gold as an investment. To fully understand gold’s role in an investment portfolio, one needs to adopt a new mindset—a gold mindset. Simply put, gold is not a bad investment, and gold is not a good investment. Gold is not an investment at all; gold is money. Once this simple yet difficult to comprehend fact is digested, one can begin to see gold as the portfolio-diversifying, wealth-preserving asset that it actually is. 1. Gold, silver and platinum are traded on the currency desks of the major banks and brokerage houses, not the commodity desks. Traders understand that gold is money to be traded against paper currencies. 2. The world’s central banks hold about 31,949 tonnes of gold in reserves. While there has been a lot of media attention given to central bank sales in the past, gold holdings have only declined by about 3,800 tonnes since 1980. Central banks have become net buyers since 2009, and have been adding gold to their currency reserves. Central bankers understand gold is money, and list it on their balance sheets along with other official foreign reserve currencies. 3. The turnover rate between members of the London Bullion Market Association is over US$20.2 billion per day, with the volume estimated at five to seven times that amount. Clearly, this has nothing to do with jewelry sales and everything to do with the exchange of money. The definition of “investment” is the commitment of money or capital to purchase financial instruments or other assets in order to gain profitable returns in the form of interest, income or appreciation of the value of the investment. Through this transfer of capital, in the expectation of a profit, an investor gives up their capital and puts it at risk. In return, the investor receives dividends or interest as compensation because their capital is at risk; they may get back less than they invested, or they may get back nothing at all. In contrast, physical gold bullion or physical paper currencies locked in a vault are not invested; they are simply being stored. Since neither is invested, they don’t earn interest or dividends, but gold doesn’t have any counterparty risk. 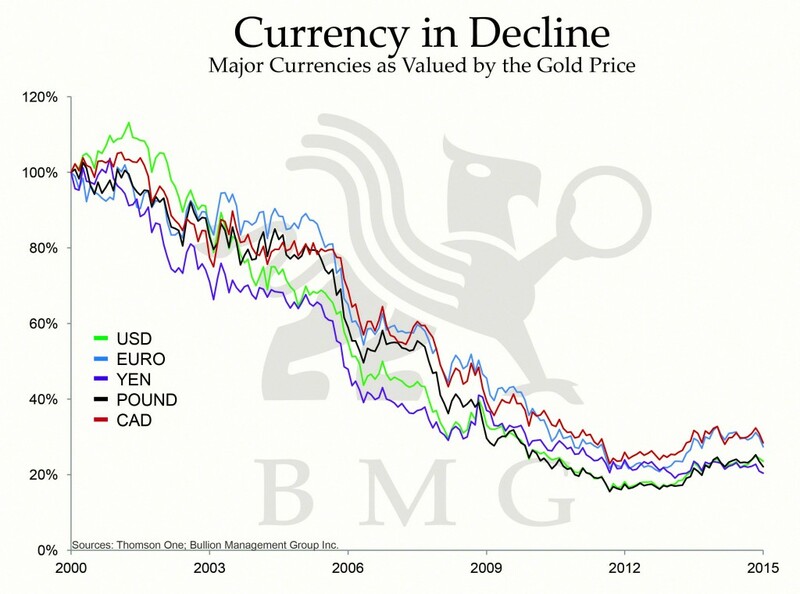 The major difference between gold and currencies kept in a vault, however, is that gold’s purchasing power increases, while paper currencies lose purchasing power over time. Holding bullion in a vault means there is no investment, so there is no risk of getting back less gold than was initially deposited, and there is no risk of the gold’s value falling to zero. There is no need to be compensated by way of interest or dividends, as there is no risk to capital. There is also no long-term risk of losing purchasing power. Both gold and currencies can easily be taken out of the vault and given to someone else in return for dividends or interest. But the investor who gives up their gold or currency risks not getting it back. Since gold maintains and even increases in purchasing power over time, there is no need to put it at risk in order to earn a minimal amount in interest or dividends. 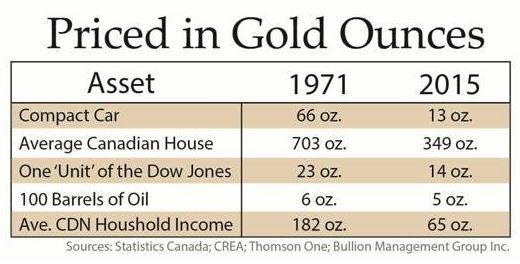 Figure 1 demonstrates how gold has not only preserved but also increased its purchasing power from 1971, when the gold standard was cut, to 2015. Fiat (paper) currency held in a safe, however, loses purchasing power every day, because its value is eroded through inflation. Currency, then, must be invested in an attempt to offset this depreciation. Fiat currency held in a bank account is also an investment, as it is more accurately described as a loan to the bank in return for marginal interest. This rate of interest never matches the rate of decline of the currency’s purchasing power. Furthermore, cash stored in a bank account is highly leveraged by the bank, which keeps only a small percentage on reserve while lending the majority out. This is the foundation of modern commercial banking. 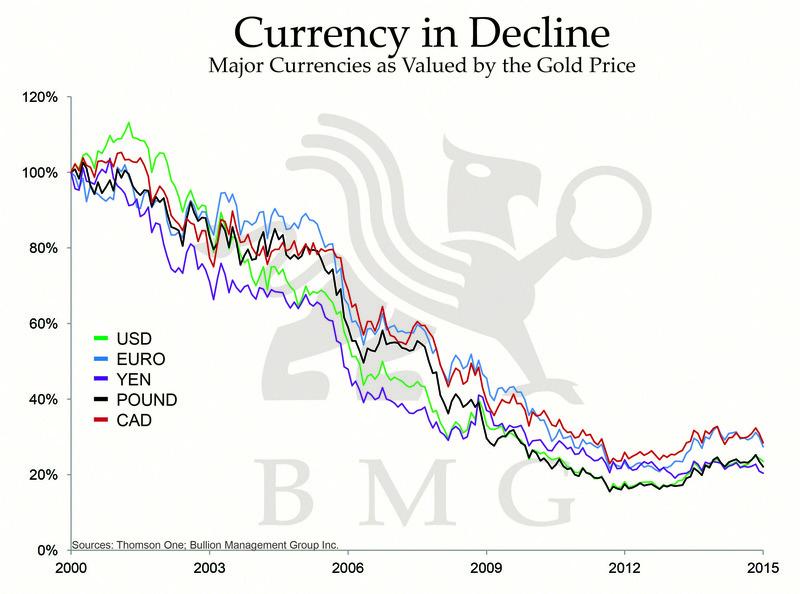 Figure 2 shows how all of the major currencies have declined over the last decade when measured by gold ounces. It is crucial to recognize that physical gold bullion is not an investment, because it is not someone else’s promise of performance or someone else’s liability, and as a result has no counterparty risk. Apart from physical gold bullion held directly, or on an allocated and insured basis in a vault, all other forms of gold ownership are not money but investments. Paper gold certificates, unallocated bullion accounts, ETFs, shares in gold mining companies and futures contracts all have counterparty risk, and are either someone else’s promise of performance or someone else’s liability. They may have their place in a portfolio, but they are not bullion and they are not money. One holds physical gold for the benefits it offers as money. We need to define what role money serves, and why cash is not money. Money must be a medium of exchange, a unit of account and a store of value. Cash satisfies the first two requirements, but fails to satisfy the third. Gold is a medium of exchange. Gold is a unit of account. Gold is a store of value. Gold is money. 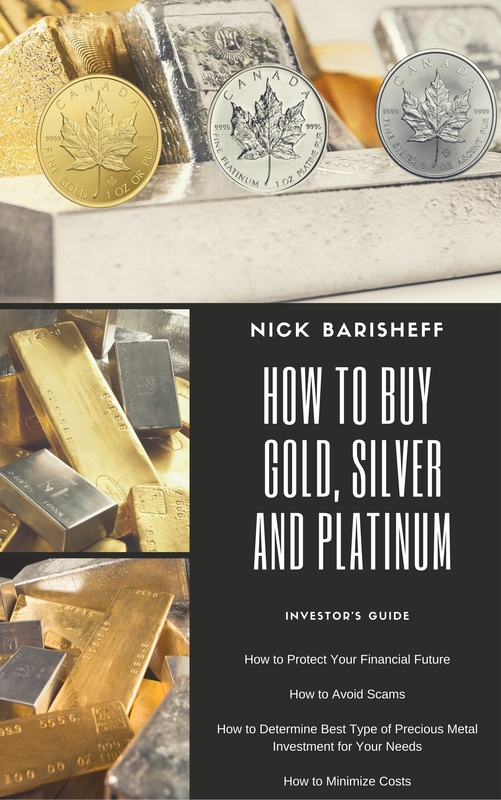 Nick Barisheff is President and CEO of Bullion Management Group Inc., a bullion investment company that provides investors with a cost-effective, convenient way to purchase and store physical bullion. 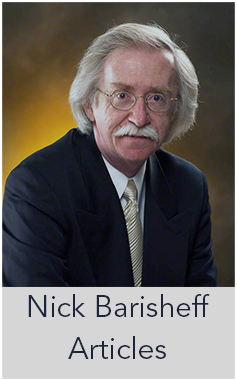 Widely recognized in North America as a bullion expert, Barisheff is an author, speaker and financial commentator on bullion and current market trends. For more information on Bullion Management Group Inc., BMG BullionFund, BMG Gold BullionFund and BMG BullionBarsTM, visit www.bmgbullion.com, email info@bmgbullion.com, or call 1 888.474.1001.